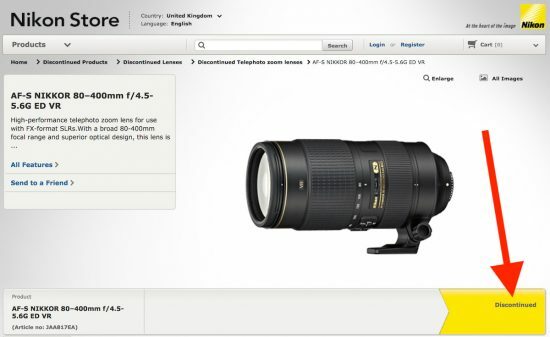 The Nikon AF-S Nikkor 80-400mm f/4.5-5.6G ED VR lens was announced in March 2013 and it's currently in stock in the US. In the UK WEX is "awaiting stock" while Amazon and Jessops have the lens in stock. 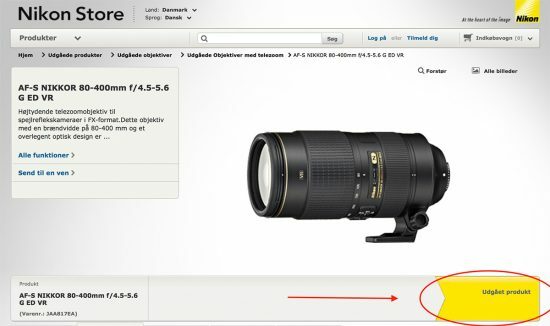 This entry was posted in Nikon Lenses and tagged Nikon AF-S 80-400mm f/4.5-5.6, to be discontinued.... Bookmark the permalink. Trackbacks are closed, but you can post a comment.